The Supreme Court bench issued notices to the three convicts seeking their replies on a plea filed by the victim, who has challenged the high court's September 13 order. NEW DELHI: The Supreme Court today stayed the order of Punjab and Haryana High Court suspending the sentence of imprisonment awarded to three persons convicted in a gangrape case relating to a student of a private university at Sonepat in Haryana. A bench of Justices S A Bobde and M M Shantanagoudar also issued notices to the three convicts seeking their replies on a plea filed by the victim, who has challenged the high court's September 13 order. A trial court had awarded 20-year imprisonment to two of the accused after convicting them for various offences under the IPC, including gangrape and criminal conspiracy, and under provisions of the Information Technology Act. The third accused was sentenced to jail for seven years. However, the high court had suspended their sentences on the basis of pleas filed by them and granted them bail. During the brief hearing today, senior advocate Colin Gonsalves, representing the victim, told the apex court that the sentence was suspended by the high court in such a case and the accused were also granted bail. The victim has also challenged the grant of bail to the accused by the high court. The woman had claimed in the FIR that she had taken admission in the private university at Sonepat in August 2013 and had got acquainted with one of the accused. She had alleged that the accused, who became a good friend, had raped and forced her to send her obscene pictures and later started blackmailing her. 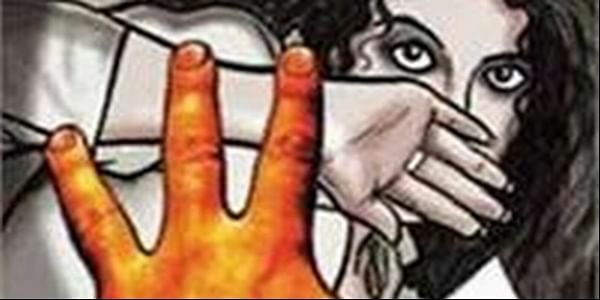 The woman claimed that the two other accused also raped her at the university campus after which she lodged an FIR in April 2015. After the trial court judgement, the accused had moved the high court seeking bail in the matter during pendency of the appeal. The high court, in its order, had said, "the entire crass sequence actually is reflective of a degenerative mindset of the youth breeding denigrating relationships mired in drugs, alcohol, casual sexual escapades and a promiscuous and voyeuristic world."